Do آپ honestly think the writers will give them a shot at a real relationship? 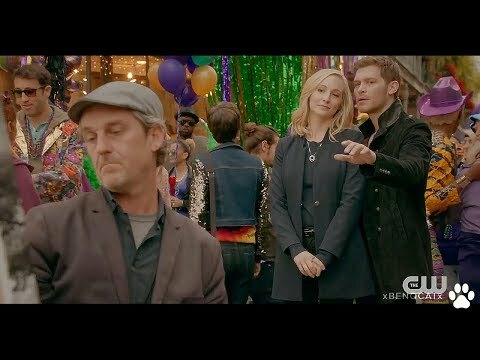 Do آپ think Caroline will have feelings toward Klaus later in the show? Do آپ think Klaus really cares about Caroline یا is it just another game ? Do آپ like Klaroline better than Forwood? 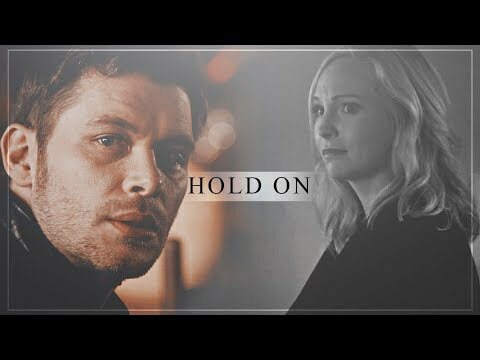 What's your پسندیدہ Klaroline fanfiction? When are Klaus and Caroline going to kiss? Why do آپ like the couple Klaroline? Caroline turned to leave the bar, and came face to face with Klaus. thought and emotion she had where Klaus was concerned. "Caroline" Klaus purred with his usual charm. "Stay away from me" Caroline replied, almost growling. Klaus' eyes narrowed "thought آپ were giving the anger a rest, love"
“Easy there, sweetheart” she کہا listless while she played with her nails. Remember that famous scene in 3x11 where Klaus gives Caroline that speech about the beauty of the world? Everyone focused so much on the poetic, inspiring part of it that we completely overlooked the fact Klaus admited to being suicidal in the past. Klaus and Caroline were reaching the سب, سب سے اوپر of a 1050 feet tall tower. Caroline had no idea why she was going along with Klaus; all she knew was that she had to go with him. Klaus let go of her and took the compulsion away. Caroline shook her head and turned to Klaus. “Where are we? Where did آپ take me?” she demanded to know. “Vous êtes à Paris, mademoiselle” Klaus answered with a charming smile. He bowed, took Caroline’s hand and kissed it. His lips had barely touched her soft skin, when she jerked her hand. “Nice dress” a familiar, male and British voice whispered in Caroline’s ear. She startled, but recovered quickly. She tried to spot Damon and Elena, but since they were nowhere to be found, she took a deep breath and turned around. “What do آپ want?” she asked sharp. “Well, first I would like to know why you’re not wearing the dress I sent you” Klaus said. “You sent? Wait, آپ gave me the dress with the note?” Caroline asked surprised. Caroline opened the door of her bedroom and almost stumbled over a big, flat box. She bent her knees and picked it up. She walked to her bed, put the box down and opened it. There was a red strapless dress in it and matching gloves and tiara. Caroline took it in her hand and held it up. She walked to the mirror and looked at it. It looked مزید like a wedding dress. She wanted to check the size and noticed a note. [b]First of all, as we all know, I do not own ANYTHING about the دکھائیں یا the books. I wrote this fanfiction with the characters from the show, not the books. There is no connection between this fanfiction and the books, it is all my imagination and all my fiction. English is not my native language so please ignore my grammar mistakes. Thanks! First of all, as we all know, I do not own ANYTHING about the دکھائیں یا the books. I wrote this fanfiction with the characters from the show, not the books. There is no connection between this fanfiction and the books, it is all my imagination and all my fiction. English is not my native language so please ignore my grammar mistakes. Thanks! The Originals penultimate episode will see the return of Caroline Forbes — she's been in way مزید of this final season than we expected — and she's looking pretty cozy with Klaus in the promotional تصاویر for the episode. Above is the link to sign a petition for Klaroline to happen! Make IT HAPPEN!! Share this link with your دوستوں through, Facebook, Tumblr, Hotmail/MSN, twitter, Blogs, Gmail, Email, YouTube, Myspace, online games, پرستار Fiction, letter writing, Instagram, etc. Everything آپ can think of. Make it happen TODAY!! What did it کہا on the invitation he gave to her? Rate the Klaroline شبیہ above you!